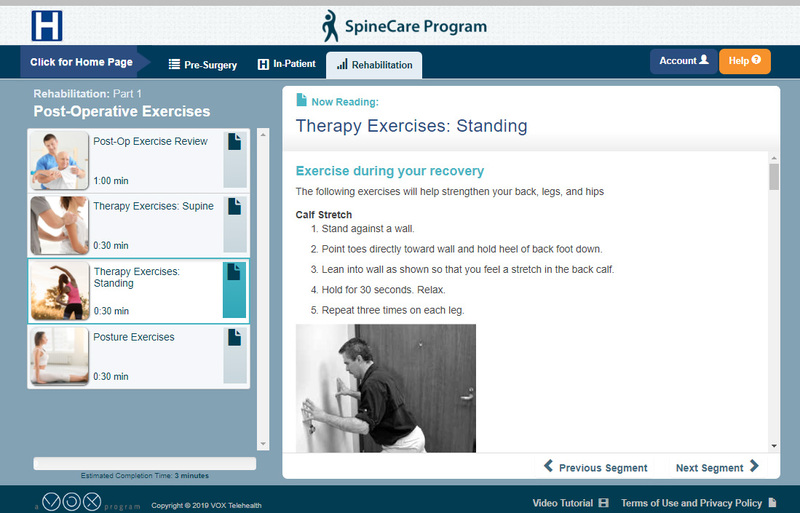 Our platform supports the patient on their journey to a pain-free and active life! 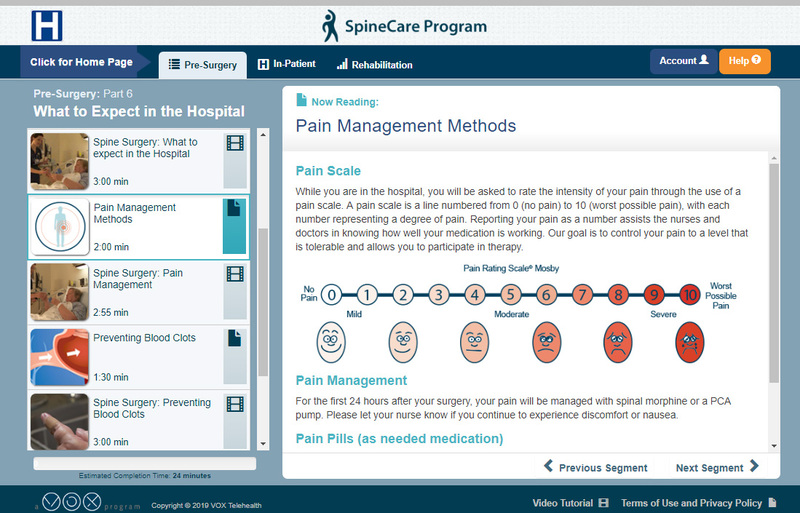 From identifying and optimizing the condition of surgical candidates prior to their procedure to facilitating adherence to recovery and pain medication protocols, the VOX SpineCare program is designed to support and guide the patient from the point of decision for surgery to the time they are back on their feet actively engaging in daily activities. Take control by using the education and coordination tools to help you and your coach stay informed and on the path towards a positive result. Set Your Expectations by learning useful tips about what to expect at every turn throughout your journey. 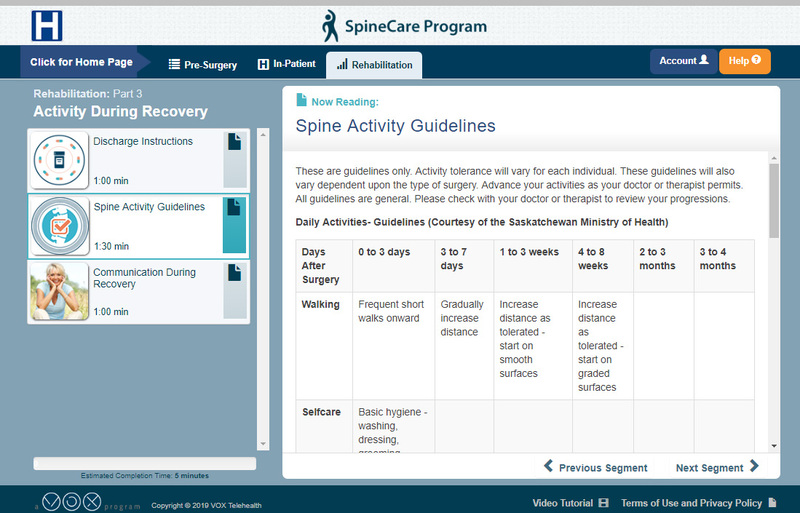 Stay Connected by logging in throughout your recovery to answer the observation questions about your progress and symptoms, which will help you know what to do when you need it most. 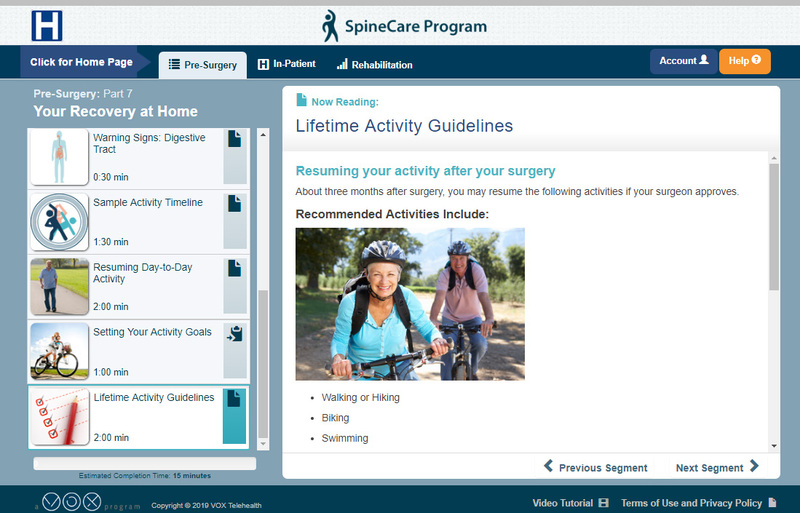 The SpineCare program teaches you how to be an active partner in your own care by providing the right information at the right time and by keeping you connected throughout your surgery and recovery pathway.